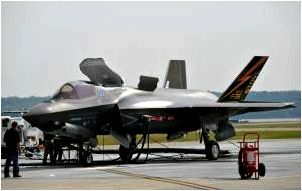 As explained Pentagon in December 2015 applying the F-35 is scheduled to begin in the United States Marine Corps (variant F-35B). Then in December 2016, this plane will arrive on Air Force (version F-35A), and in February 2019 — the Naval Forces (variant F-35C). In total, the U.S. military wants to buy a 2443 fighter-bombers, F-35, the corporation’s products «Lockheed Martin» (Lockheed Martin). The creation of these machines is expected to go before the end of the 2030s. According to forecasts of the U.S. Defense Department, to implement programs from the construction of the F-35 will go to $ 396 billion F-35 — a multipurpose combat vehicle, designed with the introduction of technology to ensure stealth «stealth». Together with the United States in its draft creation uchavstvujut another eight countries: Australia, England, Denmark, Italy, the Netherlands, Norway and Turkey. They intend to buy about 730 of these aircraft.